B. DEPLOYMENT OF FRIENDLY FIGHTERS AGAINST ALL ENEMY RAIDS. D. NUMBER OF FIGHTERS TO USE. A CIC officer has at his disposal a number of fighter aircraft with which to defend friendly forces against enemy air attack. His area of responsibility is the area of coverage of the radars available to him. When defending forces are deployed over a considerable area, it is desirable that the responsibility for defense be divided among several CIC officers and coordinated by one officer to whom control has been delegated by the OTC. This system was developed and extensively employed in the fast carrier task forces. When several task groups of the force operate together, the group CIC officer is responsible for the defense of his own group, but the force CIC officer coordinates the work of all group CIC officers in such a way as to provide the best over-all defense of the task force as a whole. When the groups separate so that they are no longer tactically concentrated although radar coverage still overlaps, cooperation between group CIC officers is still essential. If a raid leaves the area of responsibility of one group and enters that of another, the CIC officer of the first group must pass to the CIC officer of the second group all pertinent information concerning the raid. On occasion it may even be desirable to have the CIC officer of the second group assume control of fighters which have commenced the interception from the first group. Here also coordination must be effected by the force CIC officer if present. enemy raid which is obviously acting as a decoy, or one which is opening and cannot be overtaken, should be ignored as soon as it is no longer a threat to the force (group). Sound judgment on the part of the task force or task group CIC officer is absolutely essential in the assignment of friendly fighters to the interception of enemy air attacks and in the tactical deployment of combat air patrols. It may not always be possible, with the means at hand, to destroy completely every enemy attack. 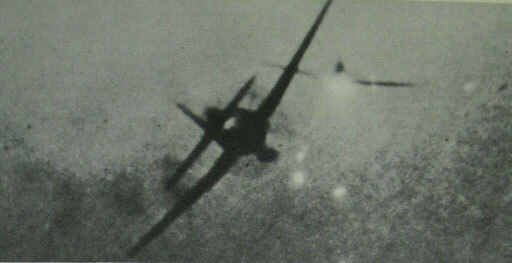 However, though an enemy air attack is hit with only a handful of fighters and some enemy aircraft actually penetrate the inner zone of defense, that small number of fighters may be just enough to disconcert the enemy and so break up the coordination of his attack. So if it is at all possible, allow no attack to come in completely unopposed, even though the opposition may only be a token. To accomplish this, at least some fighter cover must be kept in a position to defend the force at all times. In other words, there must always be a reserve left to use against the next raid. To accomplish this, it may be necessary to launch additional fighter aircraft or to request additional fighter cover from the "source of supply." This is not to be construed to mean that an attack will be allowed to approach the area unopposed due to the reluctance of the CIC officer to part with his last division of combat air patrol. It is merely intended to make the CIC officer cognizant of the fact that there is always the possibility of another attack developing and that some steps should taken in advance to cope with that contingency. Such a plan is set up each day prior to the initial launch of the day's patrols. It has the advantage of reducing confusion in times of emergency and of providing strategic stations for reserve fighters. The decision to intercept bogies may depend on several factors, but as a general rule it can be stated that any bogey appearing on the radar screen should be intercepted. A notable exception to this might occur in the case of an enemy plane detected in the vicinity of a task force (group) during its high speed approach to an objective. If it appears that the bogey will not detect the force and if the presence of the force is not known to the enemy, it is often desirable not to intercept. The reason for this is that if the bogey is intercepted, it may be able to inform its base that it is under attack by carrier-based planes. Also the fact that the plane does not return may alert the enemy. If other combat air patrols are in the vicinity this fact may affect the decision to intercept. In such a situation, the bogey may be more expeditiously handled by the CAP of another task group, and that group CIC officer may have commenced an interception. The decision as to who is to conduct the interception normally rests with the task force CIC officer. Another factor which may influence the decision to intercept is the case where the bogey is not picked up until he is within antiaircraft range, or nearly so. In such a case the OTC may "release batteries," and order the CIC officer not to intercept. be wise to wait until it is reasonably certain that the bogey is a menace to the force before committing all or part of the fighter cover. In deciding how many defending fighters will be sent out to intercept an attack, the total number of fighters on combat air patrol must be weighed against the estimated number and types of planes in the attack. There is no hard and fast rule, and the number of fighters used against a raid of a given size will vary with the situation. Obviously an overwhelming numererical superiority of defending fighters would be desirable if the CIC officer could afford it, but this is seldom the case. When possible the attacks should be matched plane for plane. The decision as to how many fighters to use against a designated raid rests with the group CIC officer. He must carefully balance such factors as his knowledge of enemy tactics, the vulnerability and importance of his area of responsibility, the number of other combat air patrols in the vicinity, the action being taken by their CIC officers, and the need for some reserve cover to throw against any other attack which might develop.